lol, i saw him this morning wearing the same khakis. What was his name, did he left any off springs. zy"a. anyone? Why are they posing for a picture? 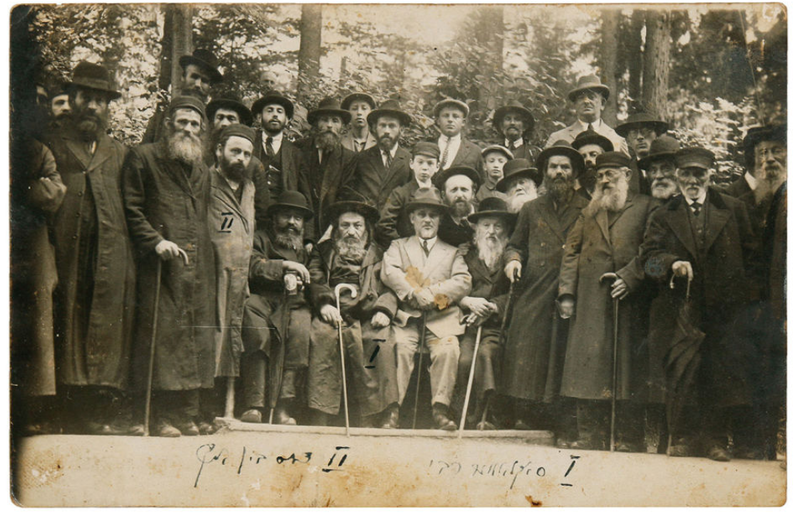 Slabodka argued that unless they started wearing clothes that were not kovod habrios the yeshiva bochrim should dress like the university students in the early 1900’s. this was the Alter of Slabodka ztz”l. Nowadays only the Chofetz Chiam yeshivas follow this and wear blue shirts and are more stylishly inclined, colored shoes, skinny pants and shirts, etc. why is this? 2. He changed because he wanted to show the world what a Jew looked like after churban Europe which wiped out most of the Jews. Also, like Berel Wein said, the Mussar Movement lost. So white shirts black pants it is. To be clear, most people aren’t wearing that to make a statement. They wear what everyone else wears. The uniform of a Ben Torah today is white shirts black pants.